Welcome to 2/90 Sign Systems!Programs | Welcome to 2/90 Sign Systems! Streamline your process with select programs from quick-ship to special buying groups. Do you need something specific? Call us a to learn what 2/90 Sign Systems can do for you. Change is inevitable in all work environments. Express coupons allow for managing change easily, quickly and cost-effectively. Need new name sign inserts? Just redeem a coupon by filling out the electronic coupon form, email your unique coupon information to coupons@290signs.com and we’ll ship your product in as little as 48 hours! No Purchase Orders. No shipping costs. Save money. Coupon Books are available in standard lots of 10, 25 and 100 coupons. Five sheets of 2/90 Sign Systems window insert paper of any standard size and color. Good on any 2/90 Sign Systems product or service. 2/90 Sign Systems Express Coupons have a redemption value of $30.00 List per coupon. Contact 2/90 Sign Systems Client Services for a General Redemption Coupon quote. Freight costs are included on all coupon redemption purchases. Coupon redemption purchases ship via US Mail or best method. Express shipping via UPS or FEDEX is available for additional coupon redemption(s). Coupon book purchase must be paid for in full prior to redemption of coupons. General redemption coupon purchases are limited to 100 coupons per transaction. Coupons are valid for two years from date of purchase. Expired coupons have no redeemable value. Certain exclusions may apply; contact Client Services if you have any questions. To purchase coupon books, please email info@290signs.com. Three ways to procure signs for government needs. Government clients can procure 2/90 Sign Systems products and services in 3 ways: GSA Schedule, GSA Advantage or Unicor 2/90. Enjoy the lowest discount available through GSA Schedule or purchase select products and services online at GSA Advantage or support prison industry programs through Unicor. Agencies have the confidence that orders placed with 2/90 Sign Systems are deemed to be best value by reason of accessing a pre-negotiated contract representing prices that meet or beat private sector pricing. This flexibility to access any government procurement contract allows agencies to satisfy their facility signage requirements in a method that best suits their needs. Enjoy our ‘Most Favored Customer’ pricing. All 2/90 Sign Systems interior and exterior products, in addition to wayfinding and installation services, are available on GSA Contract No. GS-07F-0265N. You’re assured of receiving the same high quality signage and services that are provided to the commercial markets. Agencies can have the confidence that orders placed with 2/90 Sign Systems are deemed to be best value by reason of accessing a pre-negotiated contract that represents a vendors “most favored customer” pricing. Additional discounts may apply to high volume projects. Orders placed against GSA contracts using the procedures in Federal Acquisition Regulation (FAR) 8.4 are considered to be issued using full and open competition (reference FAR 6.102(d)(3)). Agencies have the option of involving local servicing dealers, though orders are placed directly with 2/90 Sign Systems. Ordering can also be executed through the GSA Advantage on-line shopping site. 2/90 Sign Systems is committed to customer satisfaction and stands behind all products and services. 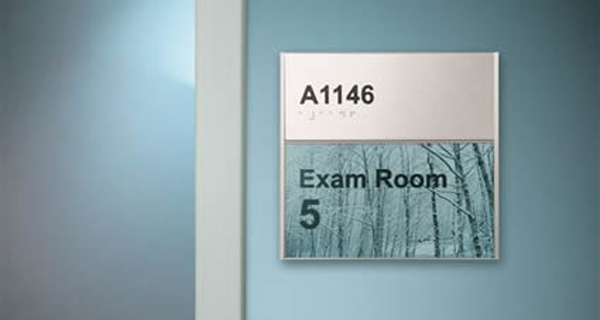 Select 2/90 Sign System products are available online through GSA Advantage. Contact Client Services for the complete 2/90 Sign Systems offering of products and services through the GSA Schedule. When inmates work, so does the prison system! Most 2/90 Sign Systems interior products, in addition to wayfinding and installation services, are available on UNICOR Contract. Agencies have the confidence that orders placed with 2/90 Sign Systems are deemed to be best value by reason of accessing a pre-negotiated contract representing prices that meet or beat private sector pricing. Additional discounts may apply to high volume projects. UNICOR 2/90 is committed to customer satisfaction and stands behind all products and services with an “Escape Proof Guarantee”. For every dollar spent on prison industry programs, taxpayers save $6.20 in reduced criminal justice, incarceration and crime victim costs.